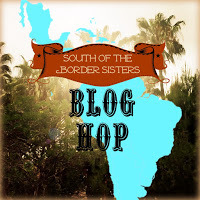 Remember how I said that I was writing a survival guide for women moving to Mexico? Well, the project has become enormous. So I’ve decided to publish the sections as separate books so that the sheer volume of information doesn’t become overwhelming. Today I’d like to announce that the first section of the survival guide is now available at Amazon. A Woman’s Survival Guide to Holidays in Mexico answers how, when, and why these festivities are observed not from abstract research, but personal experience. Because moving to a new country can be daunting, learning about the patriotic, religious and civil festival days will help you understand some of what makes up the Mexican culture and allow you to become more fully immersed in the amazingly diverse world of Mexico. Viva! This informative book is available for your reading pleasure on Kindle, as a full colored paperback (which is a bit pricey) and as a black and white paperback. And in celebration of its release, the Kindle version is FREE for the next few days! The paperback version of Wascally Wabbits and Zombie Babies: Animal Antics South of the Border has also just been released. The Kindle version of this book has been updated with a few new adventures. La Yacata Revolution: How NOT to Buy a Piece of Heaven in Mexico and A to Z Reasons Why La Yacata is the Place to Be in Any Disaster: A Prepper’s Guide to Mexico have had updates recently as well. So, that ought to keep you busy while I keep working on another installment of the Woman’s Survival Guide series. Happy reading! I’ve had it up to here hearing about Mexican Halloween. It isn’t. It isn’t about dressing up, spooky stories, demons, or blood. Not Freddy Kruger, not poltergeists, not witches, warlocks or ghosts. It’s not about haunted houses, trick or treating, carved pumpkins or parades. It isn’t even about death. The celebration El Dia de Los Muertos in Mexico is the commemoration of the lives of our dearly departed and the acknowledgment of the loss the living experience with each death. Although I’ve lived in Mexico for almost 10 years, this is only the third year that I have participated in El Dia de Los Muertos events. And why is that? Because up until then, there was no one to visit at the cemetery. 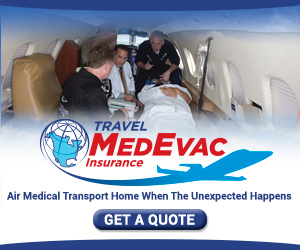 Three years ago, my mother-in-law was killed in an accident with a police vehicle. 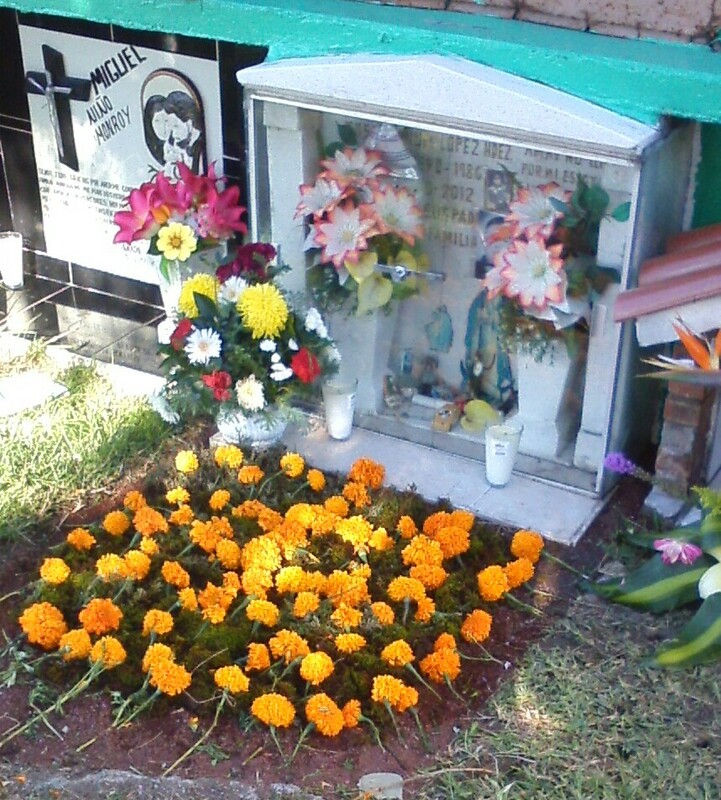 Two years ago, my husband’s grandmother in Cerano died at the age of 89. Now we have family to visit at the cemetery. And we do. We clean and place flowers. We sit and remember. We laugh, and we cry. It’s more like Memorial Day in the United States. Or maybe Veteran’s day. So it’s hard for me to understand the touristy aspect that has sprung up in larger areas. The altars that are constructed in the town center in Moroleon are typically in honor of recently deceased community members. It’s a community mourning ritual. 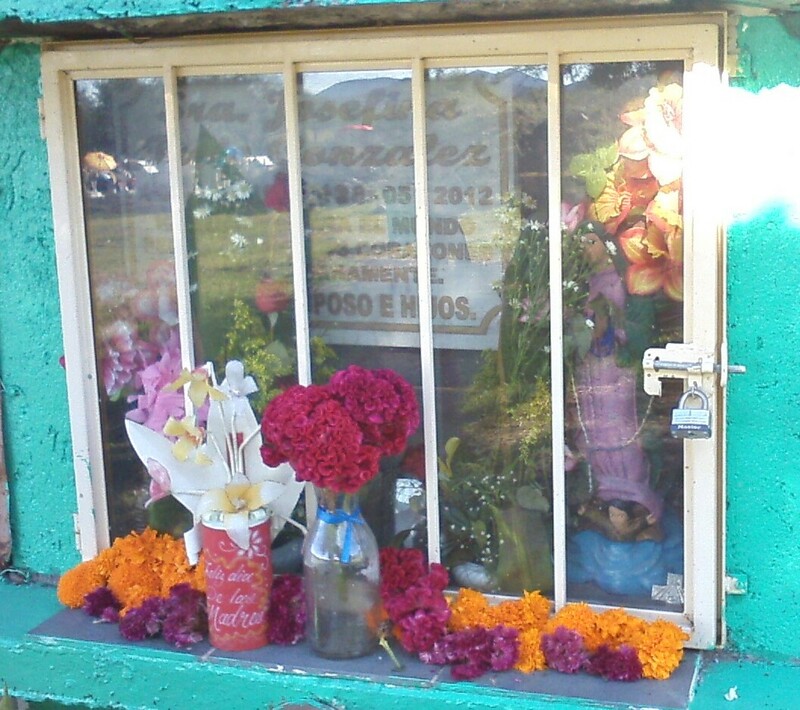 There are altars for recently deceased students, teachers, bakers, metalworkers, shopkeepers and more. The platforms constructed outside homes in Cerano are even more personal. So what would motivate someone to go to some community of which they are not a member to gawk at this mourning ritual? A child’s crypt. Notice the toy cars and pacifier behind the glass. 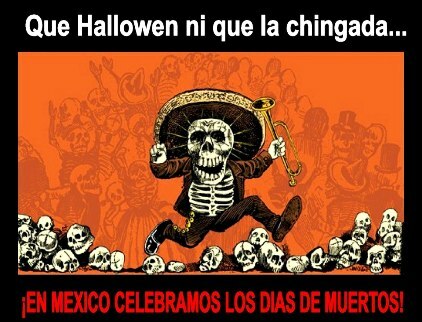 El Dia de Los Angelitos, November 1, is even more personal. Altars constructed in the town center or outside homes are created in memory of children who have died–some recently, some not so recently. It’s a personal homage. It’s not for me to intrude on this public manifestation of grief. After all, it is no more or less than a visible reminder that the dead are gone but not forgotten. 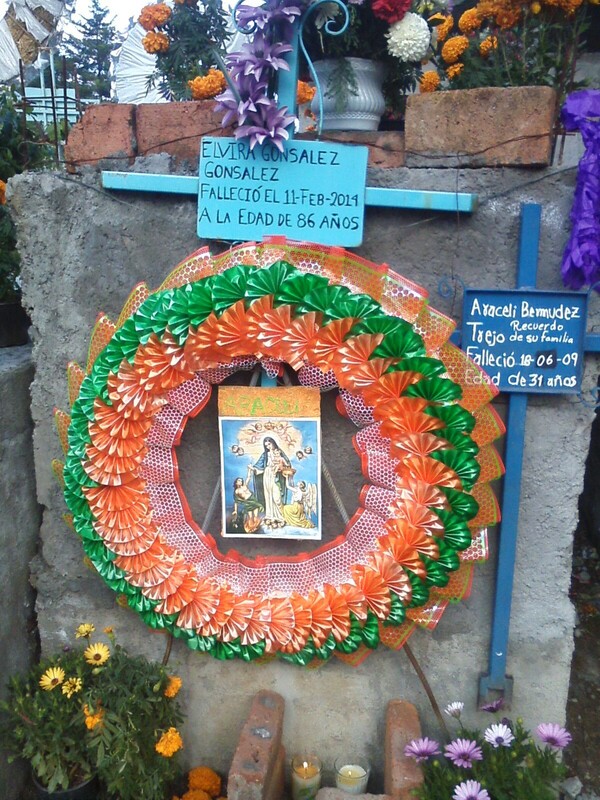 Families visit the graves of their “little angels” and leave flowers and toys. Brothers and sisters are made aware that there was another that remains a part of the family although no longer physically present. The sugar skulls are personal–you don’t buy a bag. You buy one and have a name written on its forehead. The figurines are personal–the catrinas are frolicking about in death much as the deceased did in life–drinking, dancing, singing, making music, even making love. The offerings left at the grave or incorporated into the alters are personal–favorite sweets, favorite toys, favorite drinks. The home altars are personal. Each one is constructed with the deceased in mind. Perhaps it is the fact that these personal traditions are done publically that gives the impression that it is something to gape at–like one would at the zoo or a museum. Death and loss are not hidden away here. They are accepted as a part of life, not detached from it. Is this idea such a curiosity in modern times that guided tours are needed? 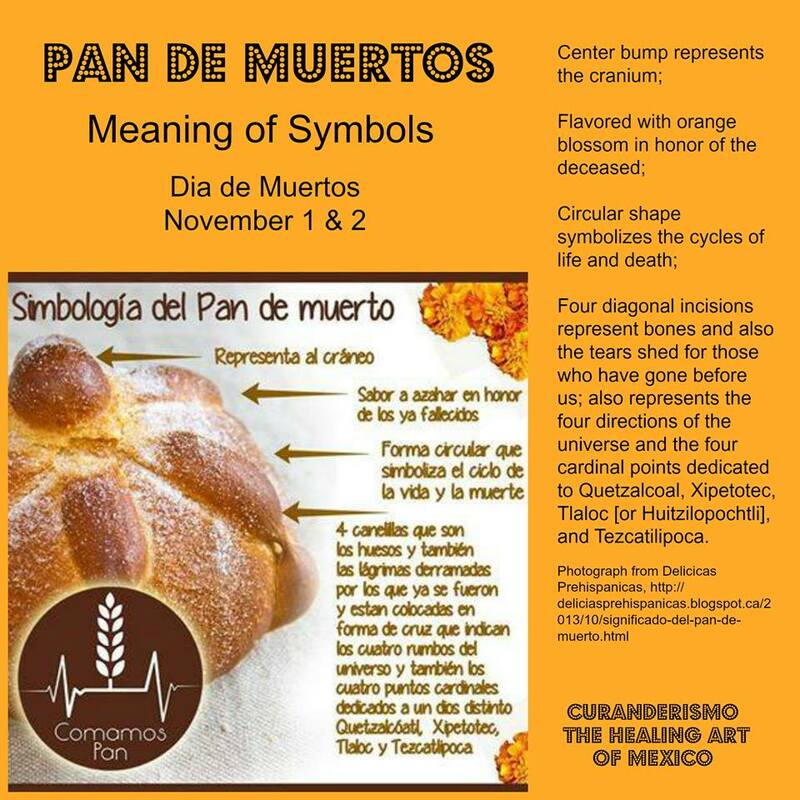 The rituals of El Dia de Los Muertos bring comfort to the living. 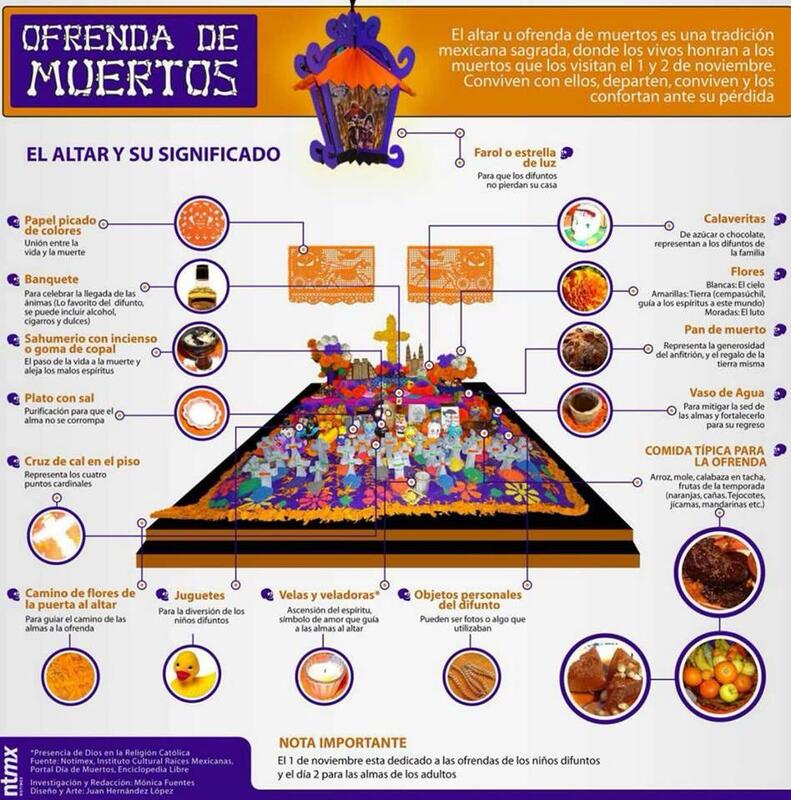 The altar or ofrenda is constructed just so. The days of remembrance are sacred. But times are changing…. The school board waited until the last possible moment to authorize the day free from classes. The official calendar has November 2 listed as a school day, while November 16 is a non-school day for El Buen Fin, in some effort to compete with the US’s Black Friday. What does that teach the children about the value of tradition? This year at the panteon (cemetery) in Moroleon there was a sign telling visitors to denunciar (report) people stealing from the graves. What do they steal? Flowers? Children’s toys? A bottle of coke? Who would take these things? For what purpose? Has it really come down to a culture that steals from the dead rather than honors their memories? Some larger towns and cities now provide parades, contests, theatrical presentations, mass-produced foodstuff, and trinkets. Wal-mart even offers a Halloween/Day of the Dead mixed selection for your buying pleasure. This tradition that in 2003 was named as an Intangible Cultural Heritage of Humanity is now up for sale. 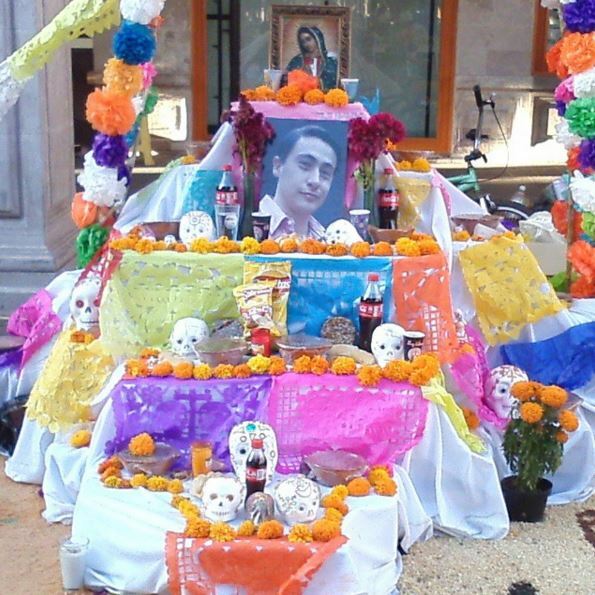 But for us, the ritual that is El Dia de Los Muertos remains personal. It reminds us that those that have preceded us in death remain part of our present lives. They helped shaped who we are today. It isn’t a fascination with death. It isn’t an obsession with death. It’s an acknowledgment of death and a celebration of life. Have a Day of the Dead themed blog post? Link it up here!